How Long Does It Take to Close on a House in NYC? Just how long does it take to close on a house in NYC? Congrats on making it this far. You’ve likely just submitted an offer or won a best and final offer process. 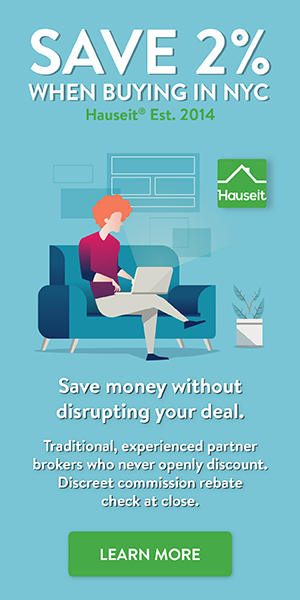 If your buyer’s agent hasn’t bothered to explain to you what happens next from contract to closing, then it’s time to get rid of your real estate agent and sign up with one of our seasoned partner brokers who will not only explain the home buying process in detail, but also provide you with a buyer agent rebate at close! What Happens After Signing a Contract on a House? When Do You Get a Closing Date? The average time to close on a house in NYC after you have a fully executed purchase contract is anywhere from 30 days if you are buying all cash to 90 days if you are purchasing with a mortgage. The answer to how long does it take to close on a house in NYC therefore depends on whether you are financing your purchase or not. The contract to closing timeline for all cash condo or house purchases where board approval isn’t required can take only a couple of weeks. Buying a co op in NYC will usually take longer than buying a condo in NYC because of the purchase application, coop board interview and coop board approval. This is the case even if you do not need financing for your coop purchase as you’ll have to accommodate the board’s schedule. Once you have signed the purchase contract and handed over a check for your contract deposit to your lawyer, he or she will messenger it to the seller’s attorney. You will need to stay on top of the seller to make sure the seller promptly counter-signs the contract. One or two business days is typical and commonly accepted. This is critical as you are bound by the contract but the seller is not until the seller has counter-signed the contract and returned a copy of the fully executed contract to you. That means the seller could hold on to your contract while shopping your offer and sell to someone else, while you run the risk of having your contract deposit put in escrow at any time. After the seller has counter-signed and fully executed the purchase and sale contract, the listing is deemed to be officially in contract. At this point, you should focus your energies on your mortgage broker or bank to get them to finish underwriting and deliver to you a mortgage commitment letter. You should authorize your bank to order an appraisal if you haven’t done so already. Many buyers will wait to order the appraisal which can cost them $1,000 or more until they’re sure they have a deal. If you fall in this category, then simply remember to authorize the appraisal as soon as you have a fully signed contract. The appraisal is important because the appraised value is what your bank will lend against on a loan to value (LTV) basis, not the contract price. Pro Tip: Check out Hauseit’s Forum for insider insight on how do appraisers get selected by banks in NYC and how the appraisal process really works. Once you have a satisfactory appraisal and a mortgage commitment letter, it’s time to lock your mortgage interest rate. This is commonly referred to as a rate lock. Keep in mind that rate locks usually have a time limit, say 60 or 90 days. Therefore, it’s important to time it to give yourself ample room in case the closing date is delayed. Keep in mind that the closing date in contracts gives either party wiggle room of typically 30 days (i.e. closing will take place “on or about” a certain date). Even after 30 days, it’s very likely that a counter party would prefer to wait and send a time of the essence letter rather than sue and scuttle the deal. As a result, don’t get too caught up on watching the 10 year treasury yield and trying to lock your rate too soon. It’ll end up being way more expensive if your rate lock expires before your closing actually happens. If that occurs, you may have to pay a penalty if rates have gone up in the interim. If you lucked out and rates have actually declined, then your lender may waive the penalty or you may simply wish to go with a brand new bank for your mortgage. If you go with a brand new bank, make sure you started the mortgage underwriting process with them as a backup well in advance so you don’t hold up your own closing. You get a closing date after the bank has completed underwriting and delivered a mortgage commitment letter to you. After you’ve locked your rate and gotten a clear to close from your bank, the attorneys will go ahead and finalize the closing date and place. As a result, it’s not surprising to only finalize a closing date a few weeks before closing day. Keep in mind that you already have an approximate closing date (“on or about”) in the signed contract, but the real closing date can only be determined once you’ve gotten a clear to close, or green light, from your bank. Once the buyer’s financing is locked down and there are no more points to be negotiated by the lawyers, a closing date can finally be agreed upon and scheduled by the real estate attorneys. Note: Houses are typically sold as is in New York; however, your lawyer may have negotiated on your behalf that certain things be remedied before closing. While it’s rare for sellers to agree to repairs, it is common for title to be delivered “free and clear” of any judgments, liens or violations. As a result, your closing date may be delayed if the seller needs time to remedy issues before a closing can occur. Note that title insurance will protect you against items that a title search failed to find. On closing day, you can expect to see a slew of familiar faces including your attorney and your buyer’s broker1. The seller and the seller’s attorney will also be present, as well as a representative from the title company who typically acts as a closing coordinator. If you’re financing your purchase, you’ll also see your mortgage broker or bank’s attorney show up as well. The bank’s attorney is a crucial piece of the puzzle as they’ll be providing the bulk of the funds for a financed purchase. Ironically, it is usually the bank’s attorney who is late and who holds up a closing. The lawyers will schedule a closing date that works for all parties. You can expect closing day to take place at the seller’s attorney’s offices or the managing agent’s office if you are buying a co op in NYC. Alternatively, the closing could take place at the buyer’s attorney’s office if that office location is more central and more easily accessible for all parties. You can expect on closing day to stick around for one to three hours, depending on whether you are purchasing all cash or with a mortgage. Assuming everyone shows up on time, you can be done with an all cash closing within a hour. However, a purchase made with financing will usually take longer due to the additional documentation required and because the bank’s attorney is often late. You can expect to stay two or three hours, and sometimes even longer, for a closing that requires a mortgage. At the closing, your lawyer will go over all of the documents with you as you sign them, and will make sure payments and checks are correctly processed. The closing coordinator will typically also be a notary public and will make sure the transaction is logged in public records. Once everything is done, you’ll finally get the keys to your new home. Congratulations! As you can see, the answer to how long does it take to close on a house in NYC is anywhere from one to three hours in regards to the closing day itself. It’s not long at all! 1Please note that it’s not customary or expected for real estate agents to show up to closing as they do not have a role on closing date. Furthermore, there are often not enough seats in the conference room for the brokers, and if they were to show up it would only be at the end to collect their commission checks and for moral support.